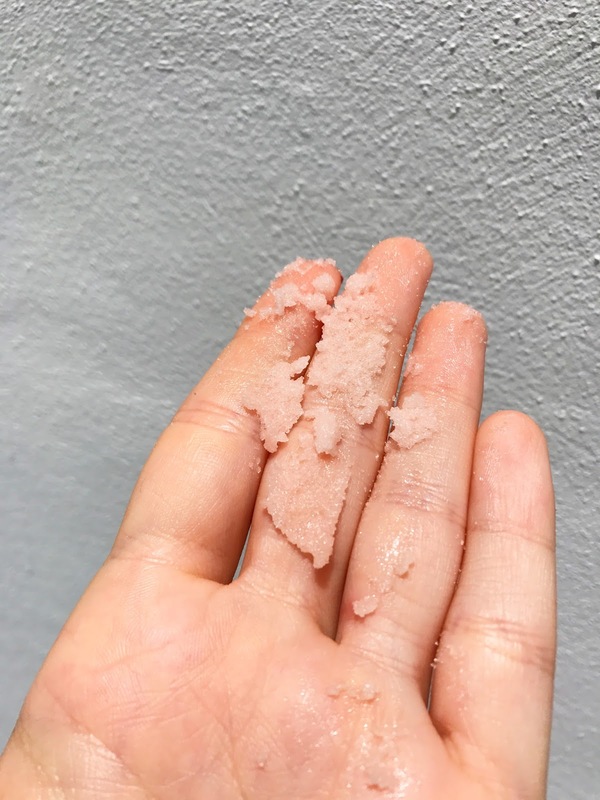 A gentle, sugar-based body exfoliant that hydrates skin with virgin coconut oil. 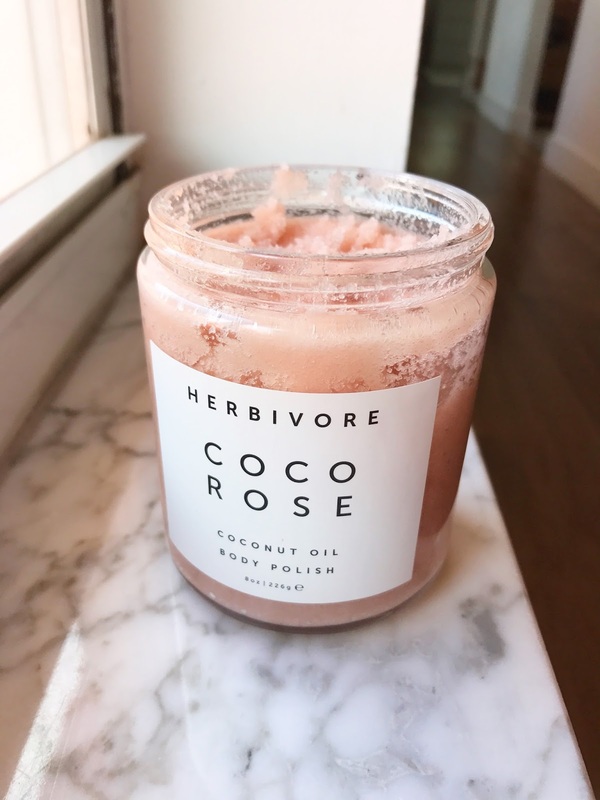 Coco Rose Coconut Oil Body Polish is a highly moisturizing and gently exfoliating blend of virgin coconut oil and delicately floral Bulgarian rose absolute. It leaves skin silky soft and hydrated with a light scent of coconut and rose petals. It is formulated without parabens, sulfates, and phthalates. 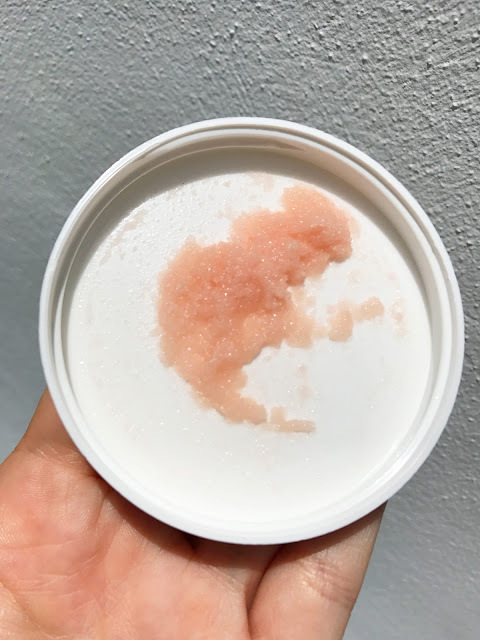 This product contains absolutely no artificial ingredients, fillers, alcohol, animal ingredients, fragrances, artificial colors, or unnatural preservatives. Each ingredient is included for a therapeutic reason. 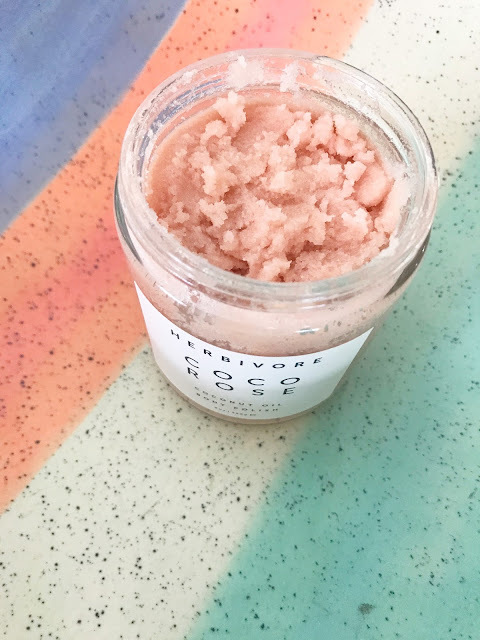 No animal testing is conducted on Herbivore’s products or ingredients. This scrub is like sugar, put it in hands and feel how granulated is it... love the roses smell and the "not too greasy" coconut oil ! 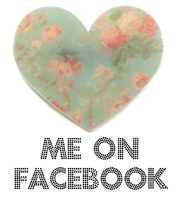 I use this scrub once a week.